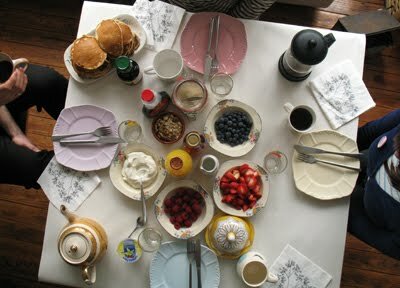 Every few months there seems to be a request from friends for a big pancake breakfast at mine. It has turned into one of my favourite ways to spend a Sunday morning or in yesterday's case lunchtime. You can find the pancake recipe here.